Lost Levels :: View topic - SNES Rayman found Lost Levels - A website about unreleased video games. michelancel Incroyable !!!! We have found the old unique Rayman SNES ROM !!!! It was sleeping for 24 years ..... Time to wake it up !!!! This prototype has been found by Rayman co-creator Frédéric Houde who worked on it alongside with Michel Ancel. According to Mr Houde, they put a few other demos on cartridge but he doesn’t know if he still has them (these cartridges may have been reused for other projects). The cartridge was labeled “RAYDEM” and he didn’t remember which game it was so he asked someone who still has an SNES at home to take a look at it. Only one level is playable / available in this demo (the one with the blue background) and there aren’t any enemies. A video should be available very soon. 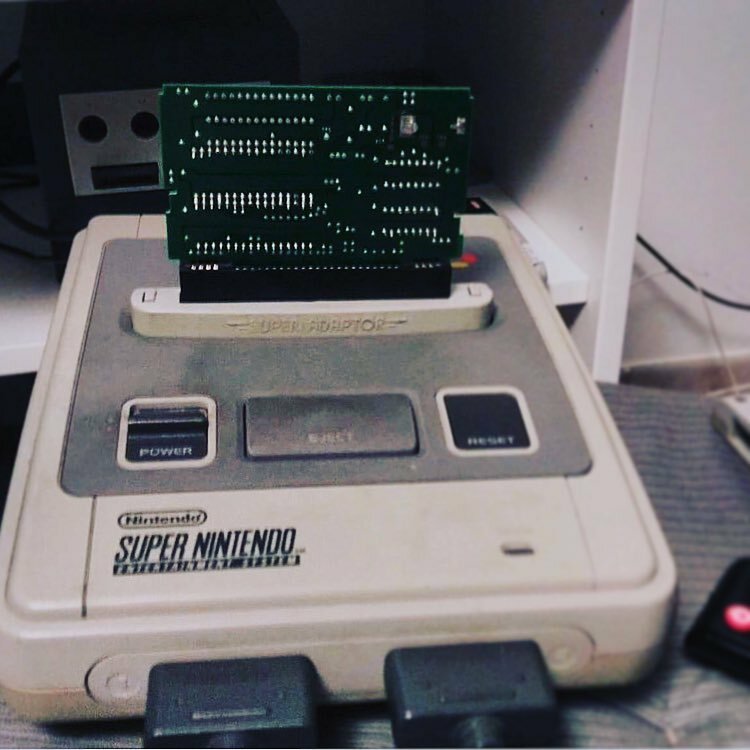 The prototype runs on a stock SNES, not on SNES CD. From what I’ve read, Michel Ancel pitched Rayman to Ubisoft as an SNES CD game because he and his team had already planned too many levels and they thought the game wouldn’t fit into a cartridge. They worked on the Jaguar version after the SNES CD was shelved. I had a phone call with the prototype owner, they'll release the untouched ROM as part of the campaign's successful funding. He just wants to make sure he recouped his investment in the game, which I can't fault him for. And if you can, meaning you'd be willing to lose $5,000 to dump a licensed SNES platformer, we should talk! I had always heard of this but never pictured this would ever see the light of day. Pretty neat how it was found. I'd love to try it if it's ever dumped but its a shame they didn't get further along in development. @Frank: I would love to help but my current lifestyle doesn't allow me to spend a lot of money. Which campaign is this? A Rayman one? Or are you talking about Socks the Cat in the wrong thread? I'd pay $5000 for a Super NES platformer with the right license, like Blake's 7 or Ruin Explorers or Mystery Science Theater 3000 or maybe Capitol Critters but only if the roach guy was playable. Wow, there's no way I'd pay 5,000 for that proto. Not when I know it's a single level with no enemies. I probably won't play it even if the thing were released anyway tho. I just like reading about protos. Not as big on playing them. I could see 5,000 for a early Sonic 1 proto tho. In case it needs to be reiterated, Frank posted in the wrong topic, he was talking about the campaign for Socks. Nobody that's still working in the game industry and putting out games is going to find old protos and dangle it over people for some thousands of dollars. It wouldn't make sense. LAUGHING OUT LOUD, that's pretty funny then. wow, how did I reply to the wrong topic? that's awesome. its really crazy how this even got dumped. I never imagined it would be with it being in Ancel's hands and all. I never imagined it would be with it being in Ancel's hands and all. It's kinda depressing to read the same story with the same inaccuracies in every articles on this prototype (which isn't the only one they produced). As of April 13 2017, the second prototype has been found but the thrid one, while it was found, it refuses to work.